Commando Elite set (lvl 43) including boots (lvl 39). No… That most definitely does not match. Looking at the boots more carefully, they appeared to be level 39 while the rest of the commando elite set was level 43. 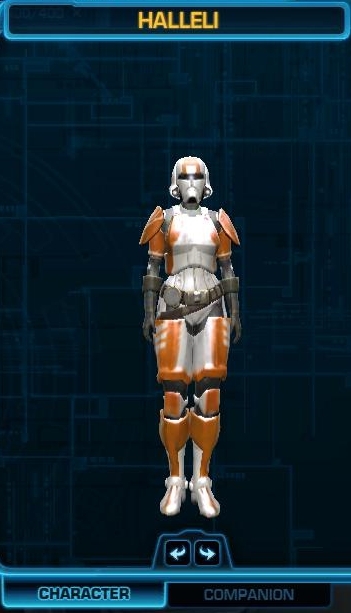 The next orange set “down” is the Lacqerous Mesh set, which is level 39. Lacqerous Mesh set (lvl 39) with Commando Elite Boots (lvl 39). Ok, those are CLEARLY supposed to go together. 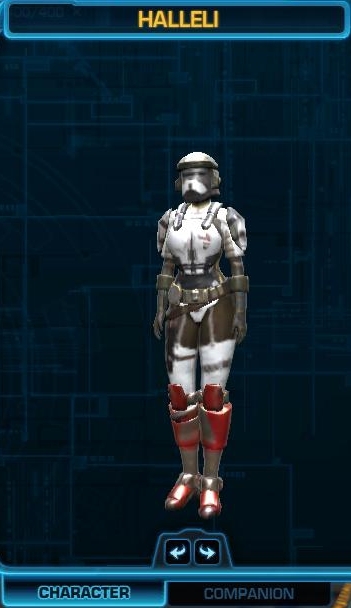 Apparently, all boots are lower level than the set they are supposed to go with. And sometimes the boots DO go with the set for which they are named. And sometimes they go with the set that corresponds to the level of the boots, which, while buggy, makes some sense. 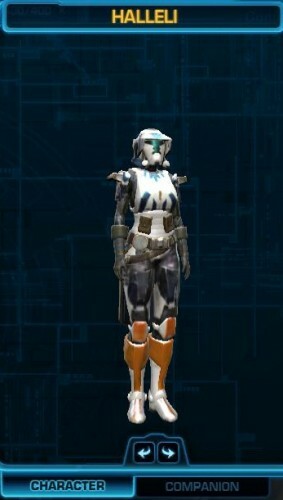 But then I get the outcast boots. 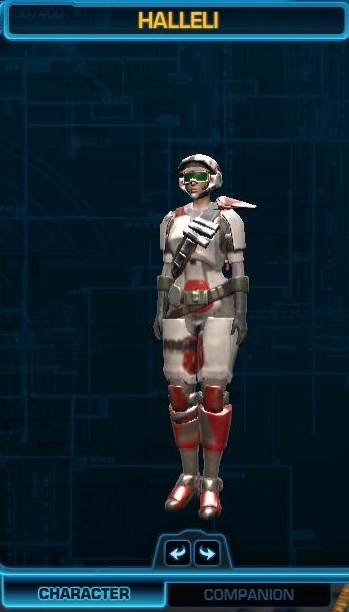 One would think that the mismatched Outcast Boots would go with the level 23 set: the Tempered Laminoid set. They do not! And trust me, you know if these clearly orange boots go with something or not. It’s not ambiguous. Nope, they ended up matching the level 31 Chanlon Onslaught set. I haven’t been able to check the matching of all the things because I don’t have all the recipes yet. And sometimes matching isn’t very clear (on medium armor, a lot of it is opinion). And in this article I haven’t even DEALT with the gloves, which are ALSO lower level than the set they are supposed to match. Have you crafters out there noticed any other weirdness? Gawd, those gloves and belts just do not match. Wait, what was I supposed to be looking at? The red just looks strange! Well the biggest clue that something is NOT really matching is if it changes color at all when you colormatch. If it’s truly part of the set, it will not shift color at all.